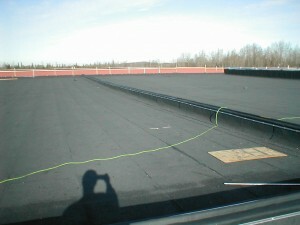 Removal of existing EPDM ballasted roof system. 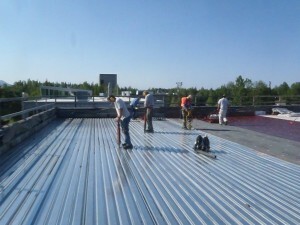 Removal of existing 24 gauge metal decking which contained lead based paint. 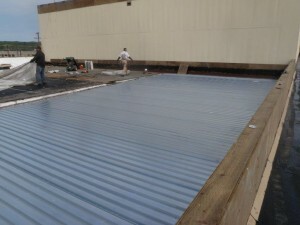 Installation of new 20 gauge galv decking, Malarkey 3 ply BUR roof system with EPS and ISO insulation, new parapet walls, metal fascia, metal coping and new roof drain system. 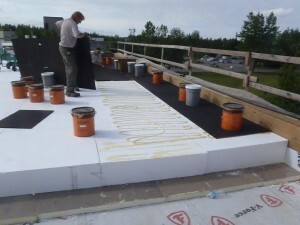 Removal of existing BUR roof system. 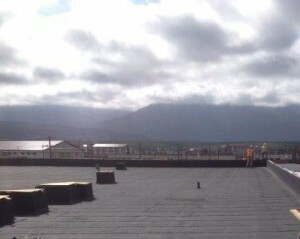 New 20 gauge galv decking and structural supports were installed over existing wood deck. 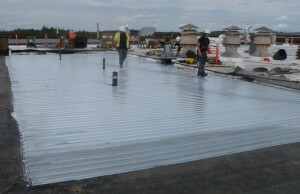 Installed Malarkey 3 ply BUR with EPS insulation, metal coping and new roof drains. 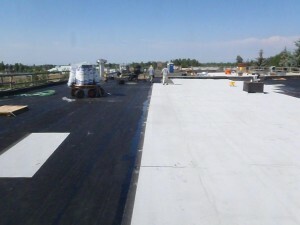 Removal of existing ballasted EPDM roof system. 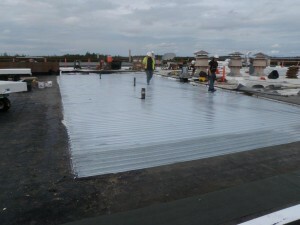 Installation of Malarkey 4 ply BUR roof system with EPS insulation and crickets and new metal copings. 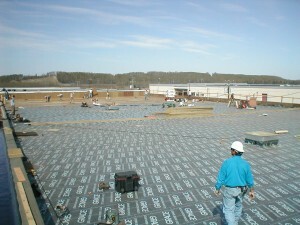 Minor structural upgrades, electrical and mechanical work. Removal of existing BUR roof systems, installation of new Malarkey 4 ply BUR roof systems with EPS insulation and crickets, new parapet walls, metal fascia, metal coping and new roof drains. 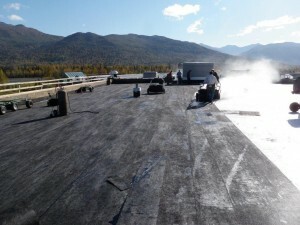 Consolidated Enterprises, Inc. is a commercial roofing company based in Anchorage, Alaska. 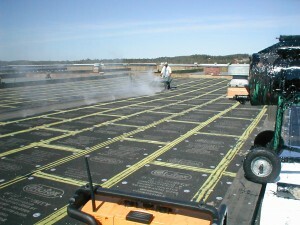 We have been in business since 1974, placing our emphasis in commercial roofing. 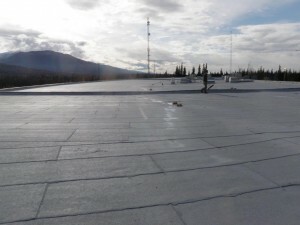 The Alaska Journal of Commerce ranks us in their list of Alaska's largest construction companies, and Construction Data News Magazine ranks us in their Top 50 List of Alaska, Washington and Oregon construction companies. Our business philosophy and project approach is founded on the four principles of productivity, safety, timeliness and quality. 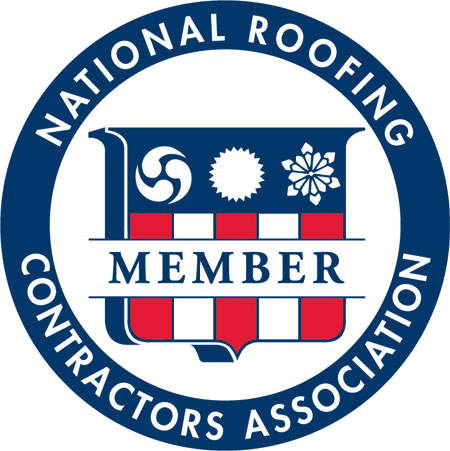 "It has been a joy to work with your employees... inspite of the... difficult weather and last minute changes, your forces performed above and beyond my expectations. - Michael Smith, Alaska Airlines, Inc.